Two heads are better than one! 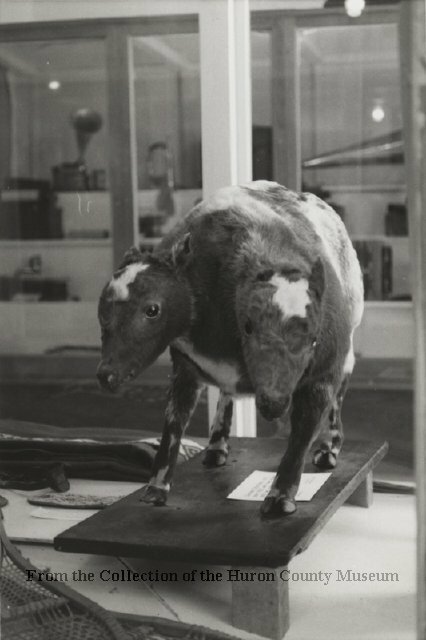 Did you know that the Museum has two two-headed calves in our collection? Since the Museum’s earliest days these calves have been a crowd pleasing favourite among visitors – which one do you favour? The first calf, a female, was born on the farm of William McFadzean, near Walton in 1925 with two heads, two tails, two hearts, two spinal cords and four legs. During birth one of the necks was broken and the calf died shortly after and was buried. Richard Hoy, owner of the store, restaurant, and butcher shop in Walton was also a taxidermist. When he heard the news, he exhumed the calf and preserved it. The second, a male Friesian Holstein calf, was born with two heads, two tails and one set of organs in 1936 on William Long’s farm in Colborne Township. Dr. Meyers of Goderich was the veteranarian. The calf was mounted by a taxidermist from Toronto. If two headed calves aren’t your thing, how about an 8 legged kitten? 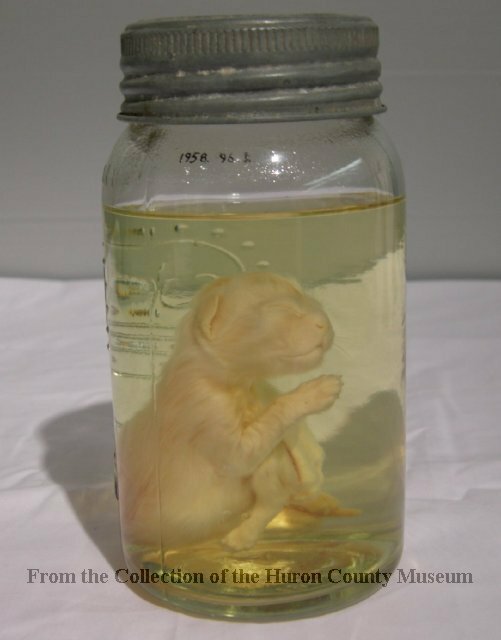 This creepy cat (a staff favourite artifact) was born with eight legs and stored in a jar filled with formaldehyde solution. Find even more fascinating artifacts in the Museum’s On-line Collection! 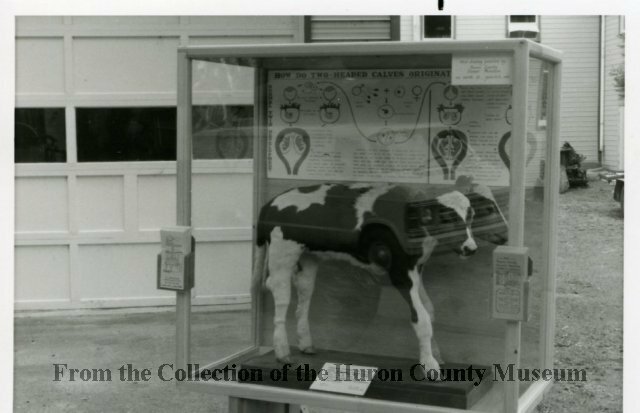 https://www.huroncountymuseum.ca/wp-content/uploads/2018/03/Two-Headed-Calf.jpg 534 1100 Erin Samuell https://www.huroncountymuseum.ca/wp-content/uploads/2018/01/Icon_4C.png Erin Samuell2018-06-01 12:38:072018-06-01 14:05:21Two heads are better than one!